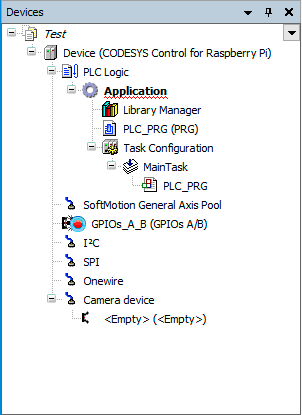 Last May I blogged about Starting with CODESYS on the Raspberry Pi. Since then I have found it a great teaching platform to help others learn CODESYS. My getting started tutorial is now a little out of date, so I thought I would reproduce it using current versions of software. 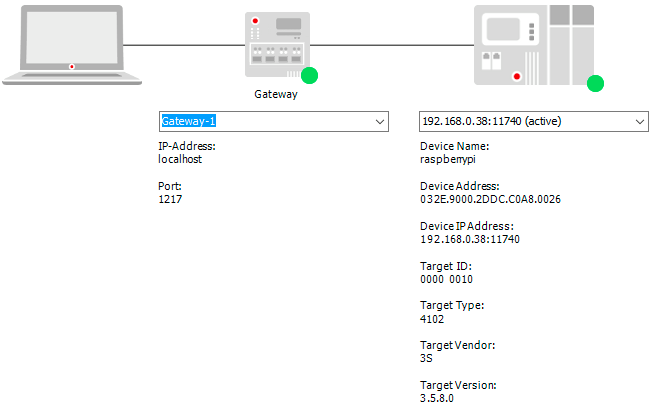 This blog walks through the steps of installing CODESYS under Windows 10, installing the CODESYS for Raspberry Pi plugin, Installing the CODESYS runtime Raspbian and establishing communications. Thanks to 3S the process is now much easier. Installation is a two stage process, firstly installing the package within CODESYS, and then subsequently installing CODESYS on the Raspberry Pi. Launch the CODESYS IDE, Tools->Package Manager… then Install…, browse to the Package previously downloaded. Accept the license and then accept the default on every menu in the installer. The package should install as shown, and CODESYS then needs to be restarted. Ensure that you have the latest version of Raspbian installed on your Raspberry Pi. If you choose to upgrade, be careful of anything important, perform backups before you start. On the Raspberry Pi issue these commands to upgrade, then continue to install CODESYS as instructed below. 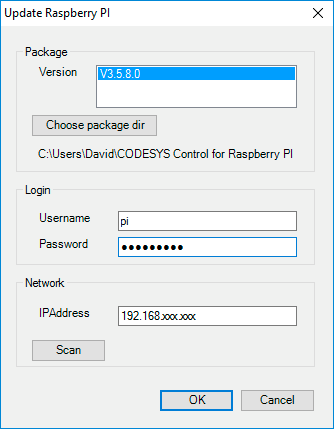 Launch CODESYS and then select Tools->Update RaspberryPi, enter the password for the Raspberry Pi, click scan. 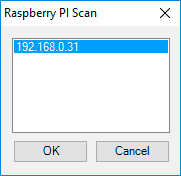 If your RPi is found then select the IP Address from the dialog and click OK. If your RPi is not found, it is possible to enter the IP Address manually, then click OK on the Update Raspberry Pi dialog – this will install the CODESYS runtime on your Raspberry Pi. Progress is reported in the bottom left corner of the CODESYS window. Login the the Raspberry Pi and reboot it – now you are ready to test your installation. 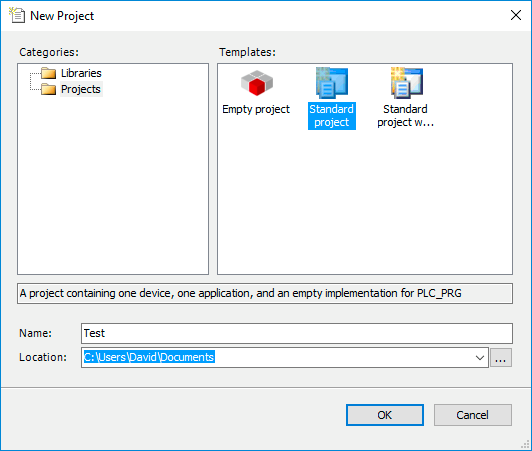 Select Standard Project and give the project a name, click OK. 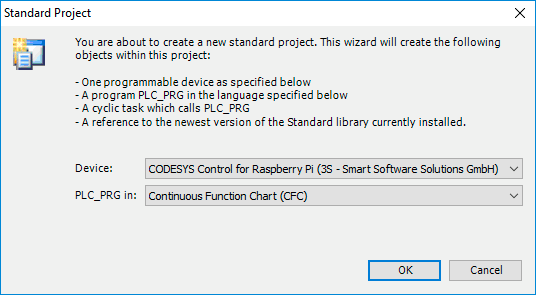 Select the Device: as CODESYS Control for Raspberry Pi and the programming language to use, click OK. A project is then created with this content. 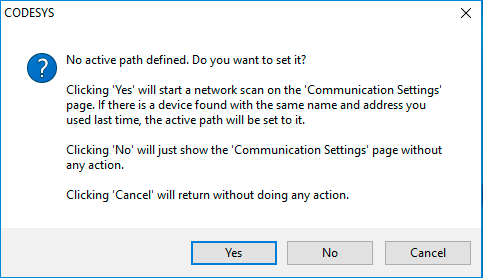 Click Yes to start a network scan. (For me this didn’t work – probably because I am running Windows in a virtual machine, if that happens manually type the IP address of your RPi into the box representing the device and hit Enter, your device should then be found). Select Online->Login again, this time login and download should succeed, the program will be in the STOP state. 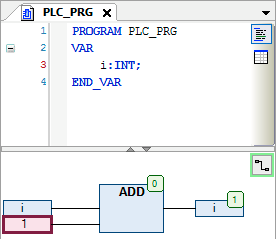 Switch to the PLC_PRG tab and you should see your program and Variables at their starting values. Select Debug->Start and the application will start running, you will ten see the variables changing. Posted in CODESYS, Raspberry Pi and tagged CODESYS, RaspberryPi. This isn’t an error I’ve seen before. However, the error message implies that the upgrade is having problems with ssh (port) 22 access to the rpi. I suggest that you ensure that SSH is enabled on your RPi, and that you can access it using ssh. Putty is a good windows SSH client, if you need to finds one. I had the same issue and used raspi config to enable SSH as informed by David, All working now. Cheers. I am having the same problem. I can’t connect to the RPI. I can connect with putty and can enter sudo commands. CodeSys will not connect. I have SSH enabled on the RPI and I can ping it from my computer at 10.0.0.224. The RPI Ethernet is hard wired to a switch and Comcast router. I’m not sure in what way you mean CODESYS doesn’t connect. You say that you can use Putty to connect via SSH, what have you succeeded in doing with CODESYS and what is failing? Have you followed the instructions to install CODESYS for Raspberry Pi? Have you followed the install instructions in the datasheet for CODESYS for UniPi?